From the early roots of his West Midland's studio, to pioneering releases through reputed major labels, Funkagenda's stamp on dance music can be felt across the entire globe. A devoted passion for music, alongside an embrace of technology, has fortified Funkagenda as a vanguard of the "tough but melodic big room house sound" (DJ Mag). Originally championed by Positiva, Subliminal, Defected, Azuli and Big Love, as well as being a key member of the iconic Toolroom Records, Funkagenda has taken the next logical step in his career and become creative commander of Funk Farm, a prospect that looks set to cultivate him as an artist with a mass of production credentials and no doubt a further slew of awards. Winning both the Ibiza DJ 'Best Ibiza Track 2008' and the Beatport 'Best Tech House Track 2008' award for his "Man With The Red Face" collaboration with Mark Knight, Funkagenda was also presented with the Ibiza DJ 'Best Newcomer 2008' and DJ Mag 'Best Breakthrough DJ 2009' awards for his solo achievements. Authenticity and originality are his trademark, establishing Funkagenda a solid reputation as an innovative DJ & producer. 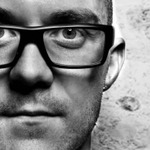 Funkagenda's sound attracts musical partnerships across a spectrum of genres, remixing artists including Basement Jaxx, Moby, Fat Boy Slim and Dirty Vegas. His production contributions to the Black Eyed Peas album 'The E.N.D.' were further recognized by an 'Album of the Year' nomination and a 'Best Pop Vocal Album' award at the 52nd Annual Grammys. With a wealth of praise from artists across the dance music board, Funkagenda can be noted as the producer's producer, backed up with his critically acclaimed mix album that was released on Toolroom Records in October 2009, further consolidating a growing portfolio of success. Since the dominoes started to fall, Funkagenda has been a firmly fixed name across global music charts, regularly achieving Beatport No.1 positions. But in essence, Funkagenda's deeply personal DJ sets and production have built the boy from the Black Country a rising international fan base. Accumulating fierce support both on and off the dance floor, from industry to individuals, Funkagenda continues to charge across the battlefields of dance; as a DJ, a producer and a fervent contributor to the world of music.